did business and government agencies. hurricane/tropical storm development is much less likely. What a beautiful morning on Grand Bahama, sunny skies and flat calm seas. We were very lucky. The birds woke me up this morning which was a good sign as they have been quiet for the past few days. The sea grape tree is filled once again with white crown pigeons eating the grapes. Attached is a picture taken at the end of my lane. As you can see, any sand that we lost has come back. The island is open for business again. Come on Down! Tropical Storm Noel began affecting the Bahamas from Tuesday October 30. the system also affected the CDERA Participating States of Jamaica and Turks and Caicos over the last few days. Severe damage and flooding and loss of life were reported in Haiti and the Dominican Republic. A Hurricane Watch remains in effect for the northwestern Bahamas and a tropical storm and a Tropical Storm Warning remains in effect for the central and northwestern Bahamas. As of 2.00pm EDT, the centre of Noel was 25.0 north longitude and 77.4 west or near Nassau in the Bahamas. Maximum sustained winds are near 65mph (95(km/hr) and some additional strengthening is forecast for later today. Tropical storm force winds extend outward up to 115miles (185km). The Bahamas have been experiencing heavy rains for the last three weeks and the ground is saturated. The rains that are associated with TS Noel have now caused severe flooding on the central islands: Long Island, Exuma and Cat Island. There is also some flooding on Andros and New Providence. Flooding of up to four feet have been reported in some areas and have caused severe damage to crops and livestock on farms. Noel is moving toward the north-northeast near 14 mph (22 km/hr) and a further increase in forward speed is expected over the next 24 hours. Noel is expected to produce total rainfall accumulations of 5 to 10 inches in the Bahamas. The National Disaster Committee met yesterday to finalise preparedness actions in response to Tropical Storm Noel. This morning the Prime Minister briefing took place. There are no reports of casualties/fatalities. The Tynden Pindling International Airport has been closed and there is no air connection to the islands at this time. Shelters are now open in Long Island, Cat Island and New Providence. The Department of Disaster Management & Emergencies reported that Tropical Storm Noel affected the Turks and Caicos with strong winds of 30mph and intermittent rains on during the day and night of Monday October 29. There was partial activation of the EOC and all emergency services were placed on standby. The all clear was issued at 3.00am on Tuesday, October 30. 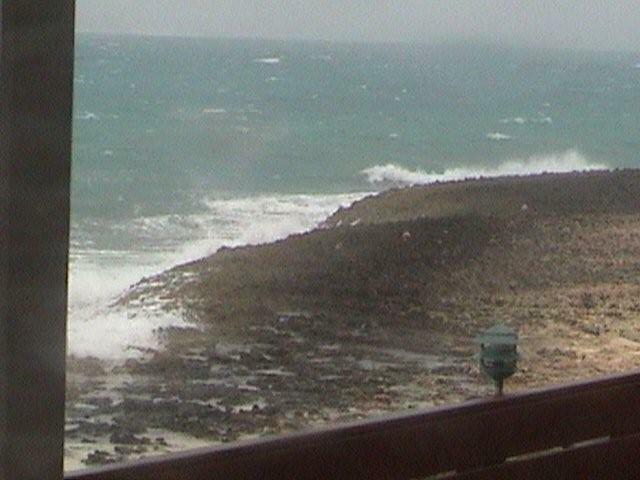 Rough seas caused damage to one of the Fishermen’s docks on South Caicos. There have been no reports of any shelters opened as a consequence of the heavy rains. The CDERA Coordinating Unit is therefore placing the Regional Response Mechanism on Standby. The CDERA Coordinating Unit continues to monitor the impact and threat of Tropical Storm Noel and stands ready to provide assistance if warranted. From early yesterday evening and through the night we have been experiencing lots and lots of rain with accompanying winds. Though not heavy, the squalls were enough to keep most folks inside. I took a drive out the eastern coast yesterday evening and the sea was pretty choppy and in at least 2 areas was coming over the sea wall. As expected there were no trick or treaters out last night. Most businesses are closed today as a precaution. I had to go to the food store this morning and the only two that were open had long lines in them. Most of the usual hurricane staples were gone, evident of people stocking up, but the mood of folks for the most part is that they were glad to get the day off. The rain has stopped for the moment and there is an erie stillness outside. The skies are still overcast and we expect more rain as the day wears on. Here are some photos and video clips from Man-O-War Cay. The beach erosion is not getting as serious as I figured it would. The wind is now at about 25 mph with higher gusts in the rain bands. There were gusts this morning above 50. The Hurricane shelter here is open with a few boaters in residence. Will update later. irreparable damage to the ecosystem out there. I'll update later. Grand Bahama sprang into action on Tuesday, closing schools, stocking up on water, food and other supplies. Halloween was practically a no show with only 3 sets of brave trick or treaters showing up at my door. It sounds like we have overreacted a bit this time but better safe than sorry. The Bahamas Government has done an exemplary job of keeping the public informed on the status of Noel and passing on instructions for storm safety. Long Island and the southern islands have had very bad flooding. We in the north look forward now to wind and rain. We had the occasional high wind and rain squall through the night, beach erosion has been our biggest problem. This happens every winter when the winds kick around to the ENE. The sand will come back. 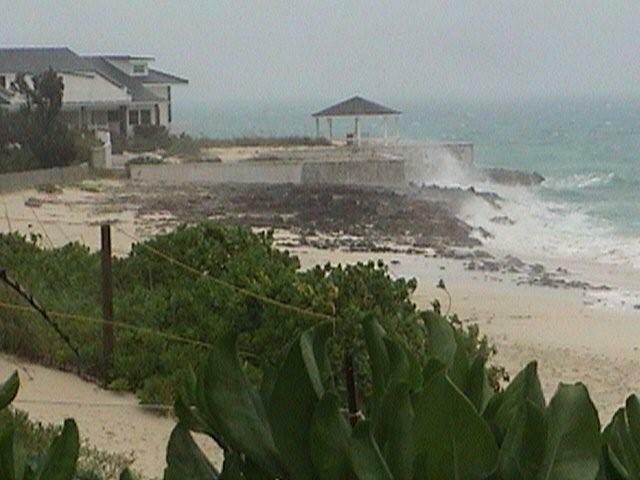 Good luck to Nassau and then Abaco today as they get the worst of the wind and rain! This morning it was pretty cool and windy. The expected rain has'nt started as yet but the skies have been pretty overcast. Most schools have been closed and some businesses have shuttered up and or placed sandbags. Its now 4:30pm and its very windy outside and the rain had been a heavy drizzle. Just looked out and you can see so me trees showing the effects of the winds. Some of the folks I've spoken to have secured their boats and planes as the are'nt taking any chances. I'm going to take a drive up the eastern coast road to check out the wave action to see how bad it looks. They have forecasted the eye of Noel to be at its closest point to us round about 1:00am tomorrow. From the looks of it we're going to be in for a long wet 24 hrs. Nassau, New Providence, in the Bahamas. coming in heavy but short outbursts. even continues to lose energy . I will be back in touch later. Well the government here has now lifted the hurricane watch for Noel and have issued a Tropical Storm watch. Noel has lost a lot of its steam and is still lingering over Cuba. Its expected to turn northwards later tonite. If this happens we will be in for a lot of rainfall probably about 5 to 10 inches. The island is pretty low lying and there are areas where flooding is a problem and with this amount of rainfall that's going to be the worst of our worries. Its less windy outside now and dry as a bone. We are going to use the 2pm advisory to decide if we are going to close for the day at 3pm to give folks a chance to get home early and put precautions in place for the expected rainfall. As at 06:00am today, the Ntional Hurricane Center showed Noel travelling in a west north westerly direction along the northern Cuban coastline at 12mph wiith a wind speed of around 50mph. Here in Nassau we are still waiting to see if its going to make a northerly turn which will bring it in close proximity to us. The government here has updated the islands status to hurricane watch and all the government schools have been closed in the southern islands and here in Nassau. This morning when I work up it was very windy outside with light rain. Nothing prolonged but just enough to keep ou guessing whether to walk with your umbrella or not. We have not put the hurricane shutters up as our place is capable of withstanding winds in excess of 60mph but we have stocked up on groceries just in case a situation develops. I'm at office and just about to go into a hurricane meeting to discuss what steps we are going to take here in anticipation of Noel getting worse and heading our way. Its been reported that there has been heavy rainfall in the southerly islands so we've gotten the sandbags out here. More to come as updates pour in and or the situation changes. Rain squalls are passing over Grand Bahama today. It was an extremely hot August for us and September continued until we received a solid 10 days of rain toward the end of the month. That cooled things off a bit and most people turned off their air conditioning. What a relief. The rest of September and into October has been beautiful. It has been much cooler than usual, Sunny days, tropical breezes to cool us and the occasional rain squall. 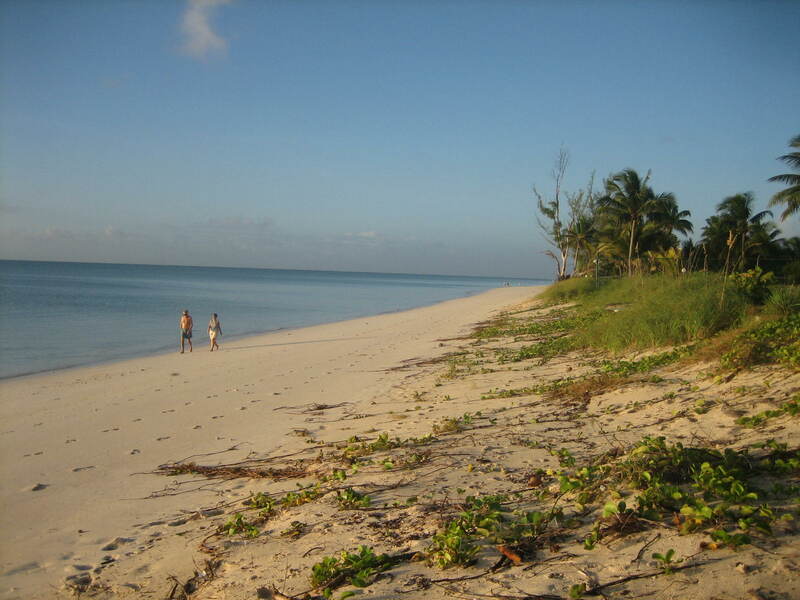 Grand Bahama has made a full recovery from the terrible hurricanes of 2004. Our vegetation is back lush and full, the houses are brightly painted with the occasional new roof here and there. One positive result of the Hurricanes that passed over us that year is that many of the Casuarinas that were planted along the shorelines are dead and gone. This has allowed the indigenous species like the sea oats, beach lavender and sea lettuce to make a comeback. The dunes are reforming in places and it is beautiful to behold. In town, people are in their gardens planting out their annuals for the coming winter and the vegetable gardeners are racing to see who can pick the first tomato. We are going to loose that race this year as we just planted our seed trays last week. Life goes on and only gets better on Grand Bahama. Good luck and God Bless to our compatriots in Jamaica and Cayman. because of the 20-30 knot wind shear in our area. Rain, rain and more rain here. Its just like the old days when our rainy season started in June! Its been a great relief for our very dry island. The past 4 or 5 years we have been dry all spring right through until August. Not so this year. Gert! Don’t forget us in the Bahamas…Tropical Storm Barry brought us a tornado and several roofs were lost! Not calm here at all! weather events on Grand Bahama when necessary and possible. little, if any damage occurred. fault.... and the beach at the end of the street lost about 3 feet of sand. The weddings lucked out as the rain stopped about 6pm for a few hours. checking out my Hurricane supplies today! 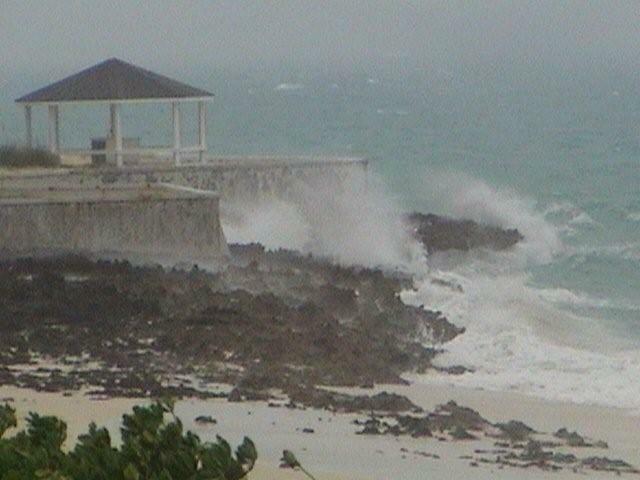 It is a very humid, cloudy, windy day here on Grand Bahama the first day of the new storm season. We have been having unusually high tides this past week with the full moon, they seem to have left our beautiful beaches intact. Our spring has been cool and dry with much wind. The boaters were very upset but the rest of us enjoyed the cooler weather. We look forward to the approaching rain this weekend, along with Florida we are pretty dry. I would just like to request that the showers end by 5pm tomorrow as we have several destination weddings on island that are praying for a beautiful evening! In closing, as my husband's name is next on the storm list, I look forward to a season that is seldom stormy but if irritated it will be quick to anger and equally quick to calm down with sunny skies thereafter! Cheers and good luck to all this summer and fall.